For my birthday earlier this month, my sister-in-law graciously sent me a copy of Country Living’s Crafting a Business: Make Money Doing What You Love by Kathie Fitzgerald. I just finished reading it, so I wanted give it a little review for those of you out there who might be curious if this book is for you. This book was published in 2008, so it isn’t new to the market, but it was new to me because I had not seen it before. I didn’t know exactly what to expect from a book put out by Country Living because I am not really a country livin’ kind of gal. That being said, I would not let the fact that it is by Country Living put you off in anyway. The one thing that makes it obviously Country Living is that all of the featured artists and crafters belong in the pages of a Country Living magazine. It might seem kind of hard for you to imagine finding any inspiration from most of the women in this book who are your mom’s age making things like American flag rugs (which is how the book appears at a cursory glance), but there were a few crafters in here I had heard about before, such as Amy Butler and the ladies of The Junk Gypsy Company. If you aren't an avid reader of Country Living, Amy Butler may be the only person in "Crafting a Business" you've actually heard of. See, this is a desire I can relate to. So, yeah, I get some of these women, but just not all of them in Part 1 of this book. Part 2 of this book is about 40 pages titled “Business-Crafting Workshop.” Here is where the reader starts to glean a bit of information about how they could accomplish what the other ladies in the book have done. There are 7 sections: The Business Plan, Financing, Product Development, Marketing and Sales, Financial Management, Staffing, and Growing Bigger. Each section is anywhere from 3-5 pages long and has very basic information about how to create a business plan or deal with staffing issues. In the “Financing” section, I was surprised at how much focus was spent on debt and equity financing. Personally, I don’t feel like most people starting out in a craft business like I am should be dependent on credit cards, taking out bank loans, or dipping into our home equity lines to finance our needs. It just seemed really intangible. Now, the Product development section had good information on pricing your items and remembering to including such things as not undervaluing yourself or being afraid to raise prices as the market changes. The Marketing and Sales section however, gives advice like “Get Your Products into the Hands of the Media,” but does not tell you how to go about doing this at all (Of course you could check out my post about Craft Business Press Kits for some ideas). Overall, I found this book to be a bit out of touch with the typical type of crafter I am used to working next to at craft fairs. It’s focus is more on the successful women than telling the reader how to succeed, and one thing that it doesn’t spend nearly enough words on is how to use the internet to help your business. My last words: If you are just starting to consider starting your own business, then this book is definitely for you. However, if you have been successfully running your business for a year or more, then you probably won’t benefit much from this book. If, though, you are looking for some simple inspiration, regardless of how long you have been in business, and you like peeking into the lives and workshops of others, but are not hoping for all the answers to your craft biz questions, you’ll probably enjoy this book quite a bit. So, please tell me, what are your favorite and most useful books to go to for inspiration? What book do you go to again and again for business help or advice? Ok, in full disclosure let me say that I am no expert on creating a press kit of any kind . The reason I am going to write about this topic today is because I have been investigating quite a lot lately about HOW to make a press kit for a crafty business and I have come across several sources that I thought would be beneficial to share with you. Have you ever made a press kit for your crafty business? What about sending out a press release? Well, I have not, but this year is a new year and I am going to start. What initially got me thinking about creating a press kit is my new copy of the Craft Inc. Business Planner by Meg Mateo Ilasco. I have been wanting this book ever since Jennifer Perkins wrote about her copy of the book, so this past weekend I went out and picked it up for myself as a little birthday gift to myself. I read the whole book pretty quickly, though I still need to start completing the worksheets, and back on topic now- start making a press kit! 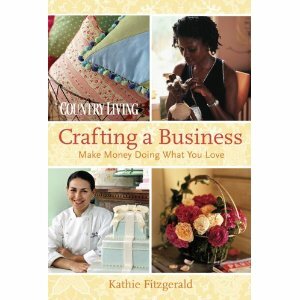 This book has a whole section on marketing your crafty business and crafty wares. It tells you everything you need to put in a press kit. Are you still wondering exactly what a press kit is? Meg Mateo Ilasco defines a press kit as “…essentially all the information a writer may need to write a story about your business or your products.” Some things which go into your press kit include your business card, catalog, company bio, press releases and much more. I highly suggest you pick up this invaluable resource to learn much more about what needs to go into a press kit and even advice on designing one. If you can’t get your hands on the book right away, there are lots of internet sources that have information about press kits. The article called 5 Survival Tips to Your Business Press Kit at E-zine Articles is pretty to the point, and it really is a basic list of things you need: brochure, press release, business info, etc., but it will get you started with Press Kit basics. Also, Unfold UK has a pretty informative blog about what makes a press kit work with pretty pictures of good looking press kits, too. It’s a quick read but very helpful if you want to see a nice, pretty press kit for yourself. Ok, so twice now I have said that your Press Kit should contain Press Releases. That is one of many things I have learned this week! So what on earth is a press release? Basically it is something that you send to the media (newpapers, blogs, tv, ect.) to tell them of something, anything happening with your business. So, you’ve never written a press release before? Me either! I’m going to start now though because I got a lot of help and advice on Press Releases from Crissy at Indiebizchicks.com. Just yesterday a perfectly placed tweet sent me to her blog and freakin’ fantastic Valentine’s sale she is having on her Cut ‘n Paste Press Release Kit. Now until Friday you can get the $35 kit for only 5 bucks! There also is a “How to Get Great Press” kit as well as other great kits all on sale until the 12th. My favorite thing about the kit is that it was emailed to me the second I paid, so I could start reading tips about press releases right away! If you are looking for a really fun way to make a small press kit, Cut Out and Keep has a good How-To for a mini press kit. Also, here is a really informative 7 step blog from eHow.com for making an Electronic Press Kit. This seems to be a pretty acceptable and inexpensive way for getting your information out there, so if you don’t have a lot of start up money for expensive press kits, you might at least consider an electronic press kit that is attached to your blog. So, what kind of press kit do you prefer? Online or the more physical version? Have you used both? Which is better in your opinion? In the next few weeks I am going to be working on my press kits- both online and the physical version. I will be looking forward to sharing with you what I have made and getting your feedback.